*Authorized Dealer of Therma-Tru Doors* Today’s Entry Doors is exclusively dedicated to the design, sale, installation and support of all-inclusive fiberglass entry door systems (not individual doors or components). That’s because fiberglass is superior to wood in virtually every area that homeowners like you care about, including quality, durability and value. “All inclusive” means that your elegant new purchase comes with everything you need to refresh and beautify your entryway–and then some–such as a manufacturer’s warranty, free disposal of your old door and hardware, and a satisfaction guarantee. 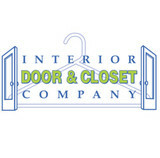 Interior Door and Closet Company (IDCC), located in Huntington Beach, California serving all cities in Orange County. We have developed the most convenient and affordable door systems to beautify, organize, and add value to your most prized possession, your home. We have expertise in: Interior & Closet Doors, Garage, Office & Home Organization Systems, Shutters, a variety of Barn Doors & Barn Door Hardware, Glass Doors & Shower Enclosures, Room Dividers, Flush Doors, True Shoji & more! EL & EL Wood Products is one of the largest moulding, millwork, and door distributors serving the California, Nevada, and Arizona home building and home improvement markets (we do not sell to the public). We specialize in exceptionally fine wood mouldings and millwork, urethane mouldings, door jambs, carvings, columns, mantels, and doors. 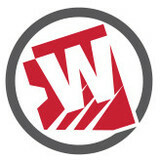 For over forty years, we have maintained a family owned and operated company committed to providing superior personal service and product quality, unparalleled in the wood industry today. All stock item orders will be delivered within one to two working days or by the next scheduled delivery day. We manufacture flexible mouldings on our premises that match our inventory, as well as any custom mouldings you may have. Our lead time on custom radius millwork is 2-5 days from date of order and stock base patterns and other miscellaneous profiles will be scheduled for your next delivery day. We operate our own fleet of tractor trailers to guarantee all deliveries are timely. We carry a large inventory so that service is assured and our customers are able to support their customers' needs. 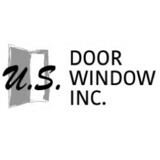 With over 30 years of experience in the door and window industry, Lanai Doors is an established leading manufacturer of custom folding doors and windows. 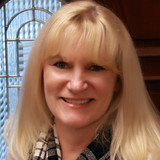 Lanai is a family owned and operated small business. We are committed to Bringing the Outdoors In for our customers, and pride ourselves on the personal attention each customer deserves. We offer a wide range of materials and finishes to match the style of your space. We can also help design your system and support your installer, with custom drawings and our staff installation support. Lanai’s system uses nothing but quality components and is designed to outlast and outperform industry standards. Pinky’s Iron Doors: A Fusion of Convenience and Quality Pinky’s has fused together quality and convenience by providing home and business owners across the nation with a seamless, trustworthy, and convenient way to order luxury wrought iron doors, windows and other accessories within your budget. Beyond a fast and easy ordering system, Pinky’s provides superior quality iron doors that have been previously handcrafted and custom made by master artisans for immediate purchase and fast delivery. Iron doors and windows add instant luxury and security to any property. Ironwork has been popular for a countless number of years for its aesthetic and functional properties. Now, luxury iron doors are within an arm’s reach. With Pinky’s, clients can protect their homes and improve the curb appeal of their property at an affordable price with just a few clicks. With forty years of experience in the wrought iron industry, the company founders created Pinky’s to focus on their passion for iron doors and create an accessible and affordable path to getting luxury iron doors without any complexities. With a focus on iron entry doors, clients can choose amongst a wide variety of styles and designs ranging from extremely decorative and ornate doors to simple and sleek contemporary designs. Homeowners will have no problem finding the perfect match to their unique taste and the distinct style of their home. Whether you’re looking for flat top doors or arched entryways, Pinky’s is your go-to source. Pinky’s is a family owned and operated company based in the heart of Los Angeles. With an understanding of the immeasurable value of home security and protection for your family, Pinky’s provides only the finest quality handcrafted ironwork clients can trust. Quality and customer service are at the forefront of the company. Pinky’s team members are here to help answer any questions clients may have to ensure a smooth and rewarding experience from order placement to delivery, and everything in between. The process is as simple as it is seamless. Pinky’s creates the highest quality wrought iron in a variety of styles, you choose the right design for your home and taste, and before you know it your new iron doors are on their way to you. We create, we provide, and you install; it is as simple as it sounds. Pinky’s is proud to offer a convenient and affordable way to add luxury ironwork to homes in all fifty states nationwide. COXUSA, a manufacturer specializing in pocket door and closet door systems hardware, is moving beyond the conventional with a bold direction and bringing to forth its capability to engineer and design new and innovative interior products. COXUSA's vision is to redefine contemporary interiors by addressing today's consumers'unique sense of urban space. The DIVIDERS Collection is evidence of this vision and new direction. DIVIDERS is a distinct collection of innovative and contemporary sliding door panels with proprietary door hardware systems used in wardrobe applications, surface mounted doors, wall pockets, corner room dividers, and wall partitions. The DIVIDERS Collection showcases function + design and highlights the interplay of aesthetically designed contemporary sliding door panels with uniquely engineered functionality. Designed for residential, hospitality and mixed-use projects, the DIVIDERS Collection is limited to interior applications only. What kind of services do Orange door dealers provide? Door dealers are responsible for a variety of services, including door installation, replacement, door repair and custom door design. If you need a new door, Orange, CA door dealers will help you determine what kind you need, as well as shape, color, size and more. From barn doors to French doors to front doors, these professionals can help you choose, install and maintain your door investments. Wood doors are beautiful, versatile and tend to be the most popular choice for both interior and exterior doors; they are easy to custom build, and include oak, cherry, walnut, mahogany, maple, fir and pine. Some standard wood doors have MDF cores wrapped in wood veneers, which minimizes the chances of warping as real wood expands when wet and contracts when dry. If your heart is set on a wood door but you think the Orange, CA climate might cause it to warp, talk to your door professional about a furniture-grade veneered door. Aluminum doors have an insulated core and come in a variety of colors and finishes. With a baked-on enamel finish, they won’t rust or need repainting, and many come with a 20-year warranty. Next to wood they are the most expensive and have to be custom-made. A Orange, CA door dealer can help you find a reputable aluminum door manufacturer. Find door dealers and installers in Orange, CA on Houzz. Look in the Professionals section of our website and search for Orange, CA door dealers and installers. Read reviews, look at project photos and see how a pro can help with your home improvement project.